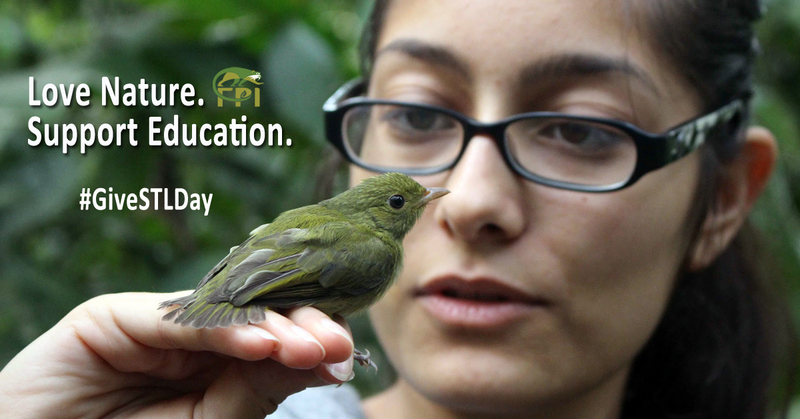 FPI's mission is to support the conservation of rainforest and biodiversity through education and research. 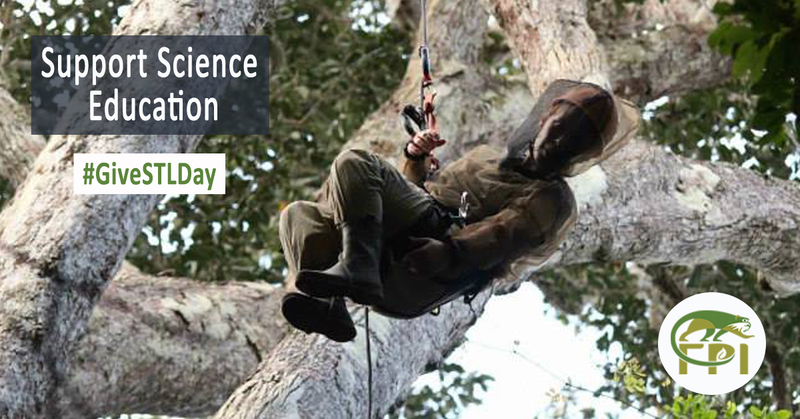 Every year we bring bright young scientists into the field to help us collect data related to primate disease ecology, reproduction, communication, and much more. 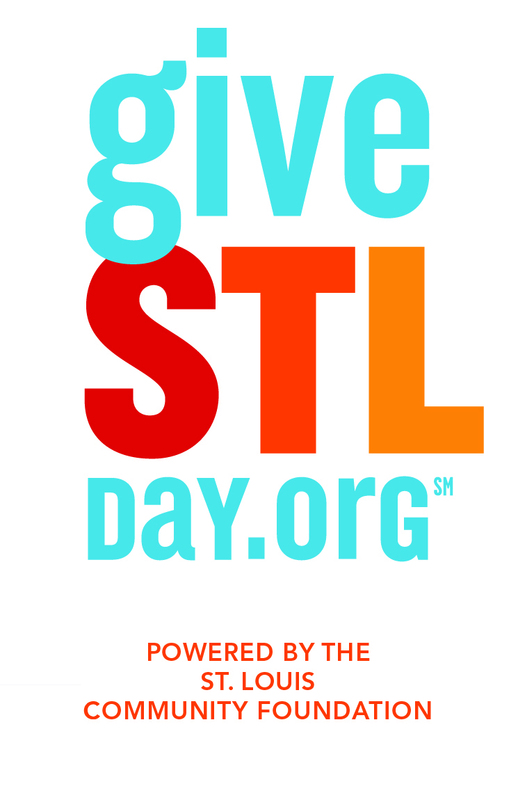 Give Saint Louis Day in 2017 is TODAY! 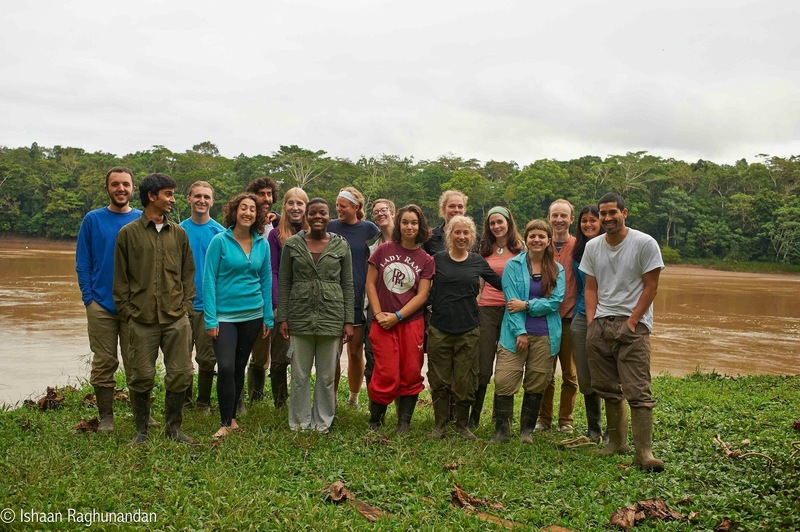 Since our founding in 2009 as Primates Peru, our organization (now known as Field Project International) has trained and recruited ~100 research assistants in the Peruvian Amazon, as well as conducted an average of 3-4 field biology courses per year in Peru and India. These numbers are poised to increase as we continue to develop new programming and expand our partnerships. Approximately 40% of the fees for our activity-based courses go toward field station fees, which directly support local conservation efforts. As a registered 501(c)(3) charitable organization and a Guidestar Exchange Gold Participant, we are committed to transparency and accountability in the management of our finances. The Early Bird Special from midnight to 1:00am: The micro-nonprofit (that’s us!) with the most dollars earned in this hour wins an extra $1000. In 2015, we narrowly missed winning in this category. In 2016, we won!! Please consider giving generously, for the total amount we make in this hour will determine if we win! 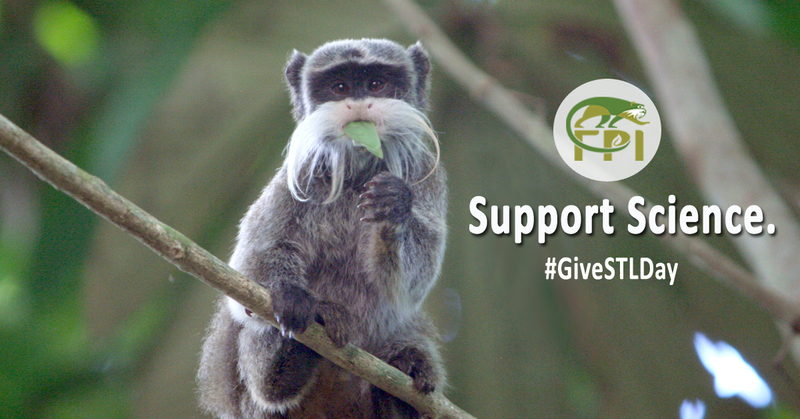 We have a feeling that we might possess some night owl [monkey] appeal, but also our global supporters can make a big difference in this time slot. Update: We didn’t win this year, we suspect because the “micrononprofit” category upper limit got moved to $250,000 (annual turnover) and some serious big-wigs jumped the market! Still, loyal fans from three different countries made contributions and we are SO grateful! Spice up your Lunch Break from 12:00 PM to 1:00 PM: Your small change can make a big difference for us as you begin lunch on the afternoon of May 11th. The micro non-profit who gets the most unique donors during this hour receives an extra $1000. If you stand up in your workplace at noon and ask everyone in your office space to give the minimum $10, you will make a HUGE difference to our campaign in this hour. Alternatively, send a personal email to friends and family to give during this hour, even if they can only make the minimum $10 donation. Boost your Donation over Dinner from 6:20pm to 6:40 pm: During this 20 minute period, all donations will get a boost, with $20,000 up for grabs for ALL donations made to ALL nonprofits in this time slot. If we’re lucky, each donation can go up by as much as 50%! So if you want your money to go the furthest, this is when you should contribute to our campaign. The underlying goal that drives all of our programming is the conservation of biodiversity and critical habitat. 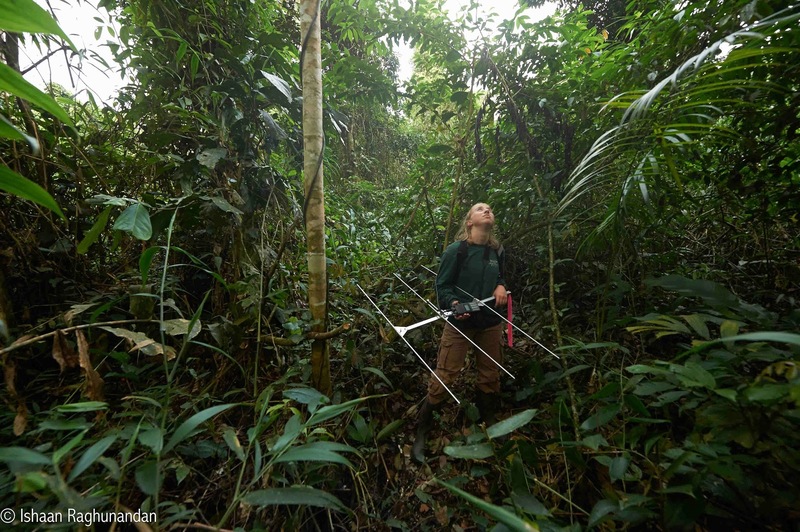 We believe the best way we can contribute to this cause is through research into the complexities of tropical ecology, as well as courses and programs that will train and inspire the next generation of biologists, conservationists, land-use planners, and policymakers around the world. The backbone of FPI is the research that we do. We now operate the largest primate mark and recapture program in Perú, and one of the largest on the continent, which has catapulted us into areas of research such as primate communication, visual and olfactory perception, parasite ecology, dispersal behavior, territoriality, development and senescence. All projects contribute to the training courses that we offer, and serve as a platform for learning for our long-term trainees. 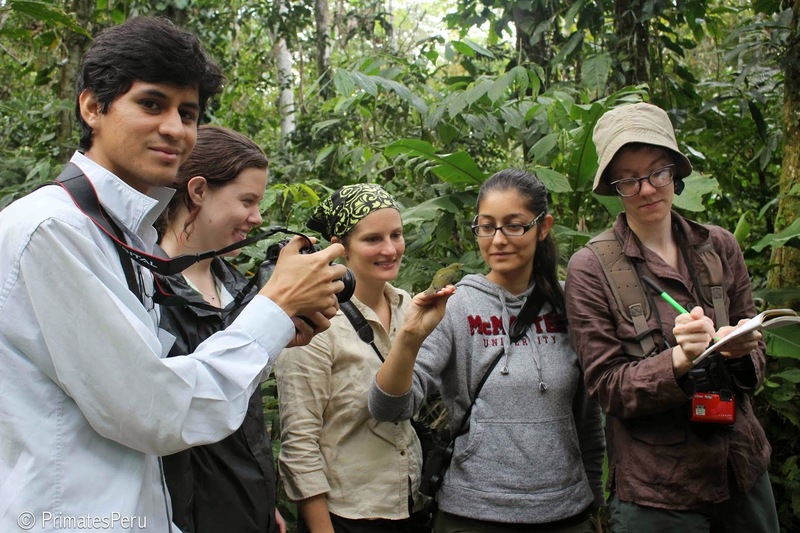 The Scholarship Fund: We maintain a 5:1 student-teacher ratio for our courses, which draw aspiring young scientists from around the globe to learn many facets of tropical ecology along with the research methodologies used in each. In order to assure that talented and highly motivated students are able to attend regardless of their ability to pay, we offer several scholarship programs for all our courses. Our scholarship winners have come from as far away as Iran and India to attend courses in Peru, and from as far away as the United States to attend courses in India. Read more about this program here. The Peoples’ Microscope: “It’s a microscope that comes as a single sheet of thick paper: you snap out the components, fold them origami-style, and thread them together. Ten minutes later, you have a device that weighs 9 grams, fits in a pocket, holds regular microscope slides, and can magnify their contents more than 2,000 times using a small built-in lens. That’s good enough to visualize everything from a ladybug’s claws to a colony of bacteria. Best of all, the device costs less than a dollar to manufacture” – Ed Yong, The Atlantic. Lastly, we do not focus on applied conservation efforts directly at our sites, but we partner with private organizations involved in habitat conservation outside of national park service areas. 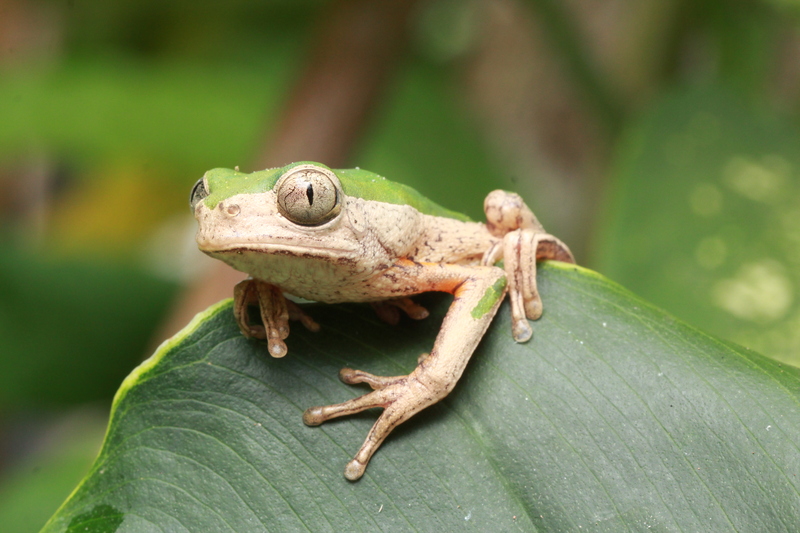 Numerous studies have confirmed that government protected forests can never hope to contain and protect all the flora and fauna present in biodiversity hotspots. A large responsibility falls on the shoulders of private citizens and organizations to create forest corridors and refuges for plants and animals that fall outside national parks (or have spatial needs that are larger than a single park). Our field courses and research programs target these sites. We bring upwards of 50 students to each site annually, which contributes heavily to making each site economically viable. We also conduct diversity studies, and these data are provided to station administrators and local authorities to help justify further conservation work. 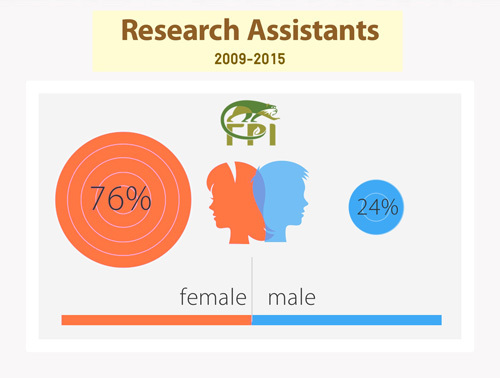 How does FPI support women in science? Although women remain grossly underrepresented in senior academic positions, we’ve actually seen far more women than men in the field doing phenomenal science. FPI is committed to supporting female scientists as they pursue degrees and equitable employment, and we also actively encourage more women to follow this career path. 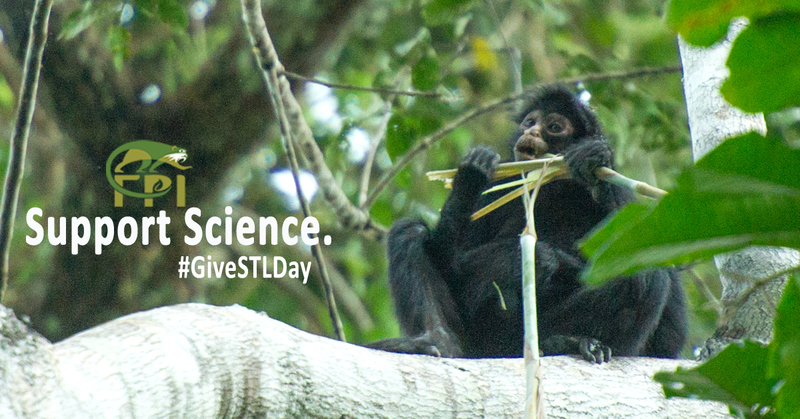 Our St. Louis-based organization appeals to people, companies, and organizations that care about the natural world and want to make a difference. They know that good science underpins every successful conservation effort, and that education is an indispensable tool for creating change. Furthermore, those who donate to FPI agree that experiencing and learning about nature is the best way to inspire young scientists, and to ultimately preserve the planet’s richness of biodiversity. 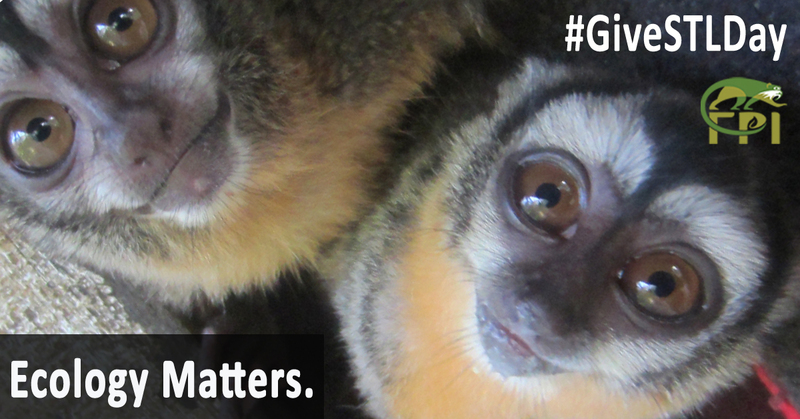 We are registered as a 501 c(3) non-profit organization under the name Primates Peru in the state of Missouri. Download our tax-exemption letter here. Civicore, the organization that manages finances for Give Saint Louis, will be accepting donations on our behalf worldwide. As soon as you donate, you will receive an email confirming your tax deduction from the Greater Saint Louis Community Foundation. Download our Form 990 for 2014-2015 here. Download our Form 990 for 2013-2014 here. Use password Primates_Peru to open these documents. How can I help FPI's campaign? Strategize! Contact friends or family and let them know when exactly to give. Rope in your office or running buddies or gym group. Anyone, from anywhere, can help us out. Spread the word on social media to make sure that slight acquaintance from middle school knows you care about the planet! See our social media tools below for materials to use. On the day, visit this page regularly for constant updates on our progress! Use these lovely images in your post – right-click to download the image and attach it to your post, or hover the cursor over the image to see share buttons for automatically generated posts on Facebook and Twitter.